This is smart. How many times have you left your phone or iPod laying somewhere to charge, only to end up tripping over the wire and knocking the gadget from it's precarious perch? The answer for me is...many times. 'Load-Ding' by the German company XXD offers a simple solution to all the clumsy and/or careless folks out there. 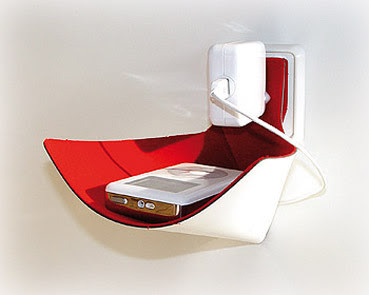 A little pouch keeps all the cords tidy - and your electronics safe - while they power up. dyslexia is flaring up again.